Our natural tendency as leaders is to surround ourselves with people who will agree with us and support us. On the surface this doesn’t sound all bad, but it can lead us to a dangerous place in regards to effectiveness if we avoid people who help us challenge the status quo. Too often it is these “challenging people” that we avoid in the hallway and take the longest time to return their calls. The reality is that this group of people will lead you to a place of greater effectiveness in your ministry at a faster pace than the group of staunch supporters. 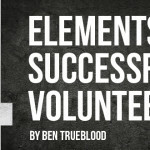 The goal, and the rarest breed of volunteer out there, is the one who is both at the same time. These “supporting challengers” are the people that you want in your inner circle of volunteers. They are the ones who will get in the trenches with you more than anyone else, will help you lead from a place of greater effectiveness, and will probably become some of your dearest friends in the process. The good news is that this is something that you can develop within people. Give your leaders opportunities to be heard. Listen to all of them and take notes on what they are telling you. Look for people who will always support without offering any criticism and people who only offer criticism. 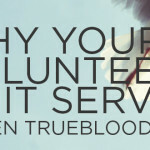 While they may be a decent volunteer, they aren’t going to help you in this specific area. As you listen to your leaders, you build within the culture an openness for feedback, which is essential in finding those who can be your supporting challengers. These people will never show up if your office door is always closed and your lunch calendar is always booked up. Once you complete step one, use your notes to develop a list of leaders who you think may fit in the supporting challenger category. With that list, and it may be small, go back to those people to ask their opinion on something specific, like your recent event or camp. Ask for areas that they observed where you can improve as a leader or where the processes and organization can improve. Again, take notes and let them see you taking them. This builds into the culture that their opinions are valued and that you are going to remember them, possibly even act on them. Take this same group of leaders, individually, and ask them to evaluate something in your ministry from start to finish. 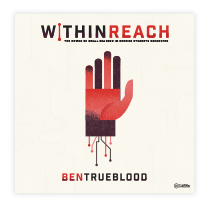 This can be an event, a worship service, your small group ministry, etc… Have them attend meetings that they would not normally be in and give them access to parts of the ministry that normally only you (or the staff if applicable) would see. Meet, again individually, with this group and place yourself and your processes under their evaluation. Ask them to evaluate you. Ask them to evaluate your involvement with the students and other leaders, your preaching, and your organization skills. This is the one where I will probably lose many of you. “What do they know about preaching” you might ask. They may not know much, but everyone knows when they have been effectively communicated to. These leaders, if they have walked with you through everything else to this point, will mean that they are deeply invested in the ministry. 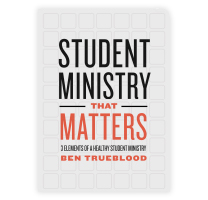 If they are deeply invested in the ministry then they will have key relationships with students. These students talk about you as their youth pastor, your preaching, your relationships, your involvement. This information is invaluable to you if you want to reach a place of greater effectiveness. Remember, at the core is a shared vision and a desire to reach the same goals. You’ve walked with them this far and you’ve built a solid trusting relationship through these first three steps. Because of that foundation, this group of leaders will know how to share challenging information without breaking you down. I wish I had done this better in my own ministry. I wish I had started early on building a group of supporting challengers. It would have made me better, faster. Not for my own sake, but for the sake of the ministries I led. As you get better, in relationships, preaching, organization, and a whole host of other things, the ministry benefits. 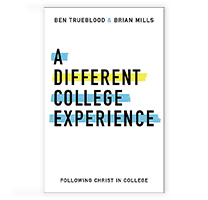 You are able to reach and disciple more students and their families. Resist the temptation to build a group of people who will just say “great job” because that’s what you want to hear, because it makes you feel good. Take the time to build a group of supporting challengers who will tell you “great job” when you need to hear it and will offer up challenging advice when you need that as well.